"Der Führer lebt und leitet Abwehr Berlin!" 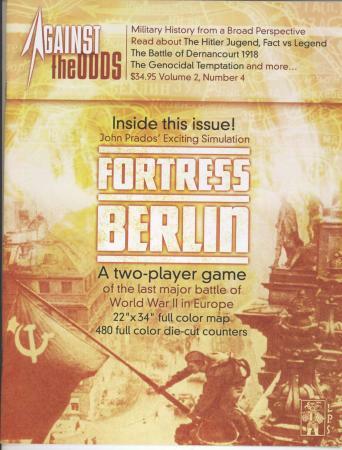 "The Führer lives and is defending Berlin!" screamed out Martin Bormann's final message on April 30th, 1945. Fortress Berlin is a two-player tactical / operational simulation of the last major battle of World War II in Europe, the assault on Berlin. Playing pieces represent the actual units that took part in this fight, along with some optional forces that might have become involved but did not do so. 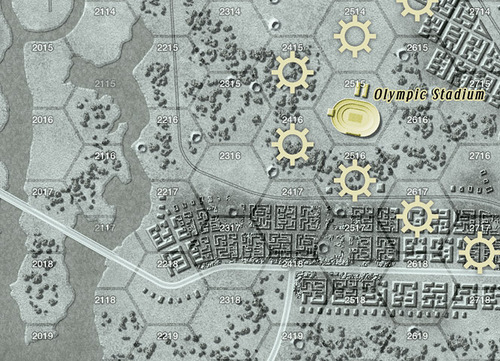 Map scale is approximately 500 yards (457 meters) to the hex. 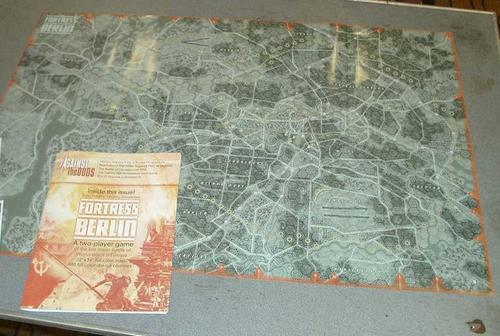 The mapboard depicts the essential portions of the city of Berlin, the general area including the German inner defenses for Berlin. 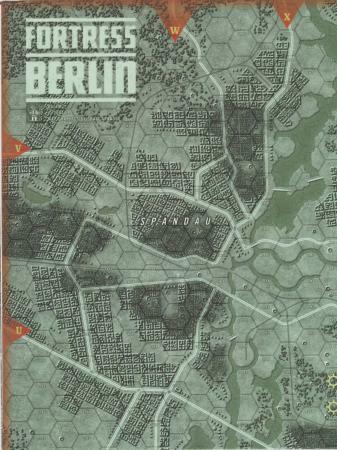 This ranges from Treptow in the east to Spandau on the western side; and covers the area from Wedding-Pankow down to Mariendorf-Zehlendorf on the north-south axis. 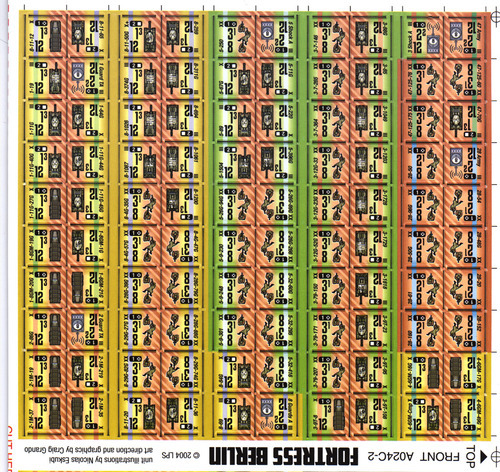 Each Game Turn represents one day and ground units range in size from a company up to a division.